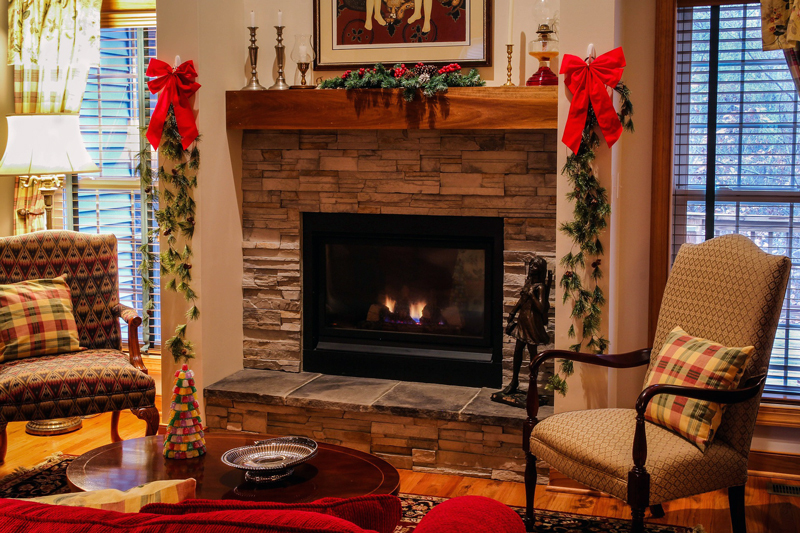 Fireplaces can provide the best focal point for Christmas decorating. Rarely do you see magazine-worthy images of beautifully decorated Christmas trees that don't include a fireplace right near the tree. Between the twinkling lights of the tree, the fire burning in the fireplace, and a few simple decorative touches, your home will feel like a winter wonderland. Whether your mantel is traditional brick, stone, or wood, large or small, we have decorating ideas that can transform your home for the Christmas season without a whole lot of time or effort, and in many cases using objects that you already have around your home. When thinking of Christmas décor, many automatically think of the traditional red and green combination, however, don't limit yourself to just these colors. Some of the most beautiful mantles you will see have alternate color palettes. Other popular holiday colors to use include blue and white, red and white, an all-white palette, as well as silver and gold, and a natural color scheme, incorporating the outdoors into the vignette that you create. Before beginning on your decorating quest, always remember to keep all combustible decorations at least 12 inches above your masonry fireplace opening. If you have a manufactured fireplace, follow the supplied clearance instructions in the owners manual. 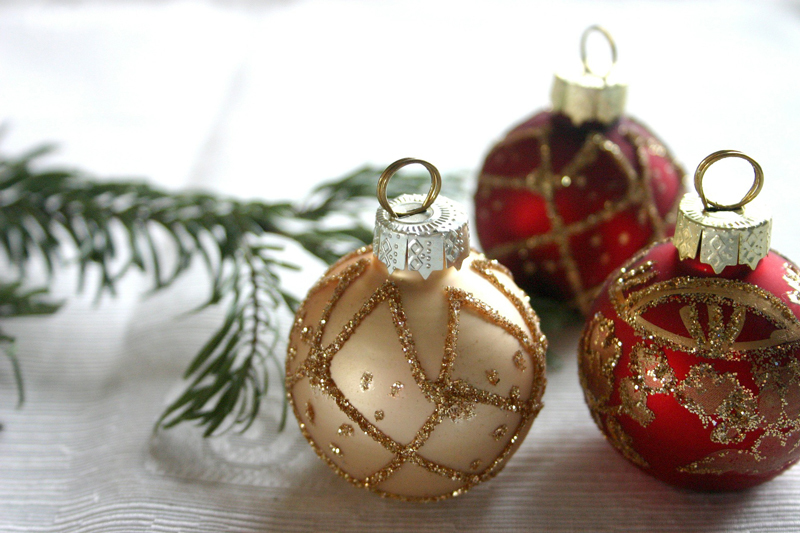 Christmas ornaments do not need to be reserved for just the tree. A few strategically placed glass or acrylic ball-shaped ornaments or vintage glass ornaments add a simple, but powerful impact and an instant dose of holiday cheer. 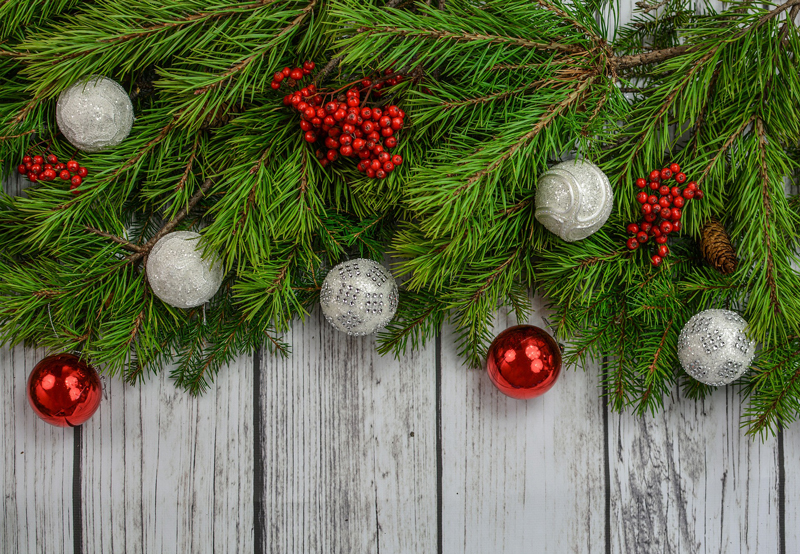 Whether it be Santa figures, wooden trees, snowmen, angels, nutcrackers, carolers, light up houses, or a combination of the above, you're bound to have a few of these lying around that you can add to your mantel. If you have a collection of certain figures, consider displaying the entire collection here for a greater visual impact. It's a great way to show off your favorite holiday pieces. 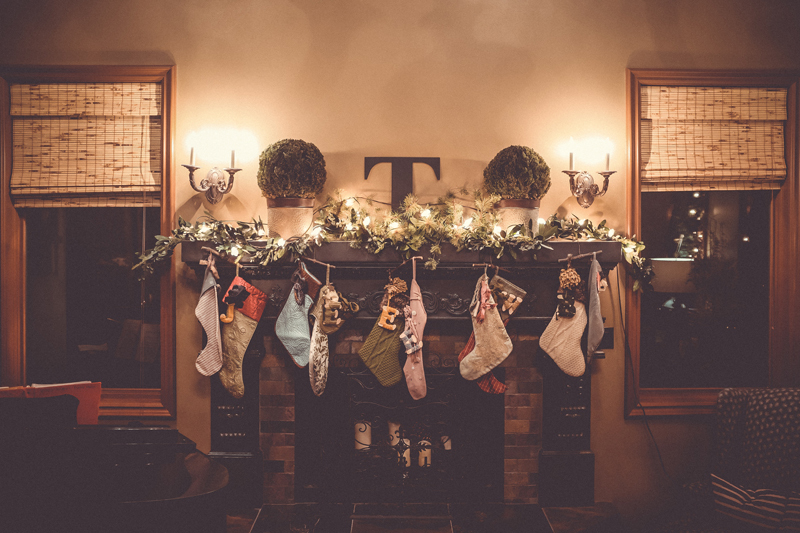 No mantel is complete without stockings hanging from it. Some families prefer to hang stockings on Christmas Eve as opposed to leaving them up the whole season. Whatever your preferred method, be sure to give thought and attention to how you will hang them. Some have nails already mounted in their old wooden mantel or brick mantel. Others may need a stocking hanger that sits on the mantel, adding to the decorations. Wreaths can be another easy way to provide a festive touch to your mantel. 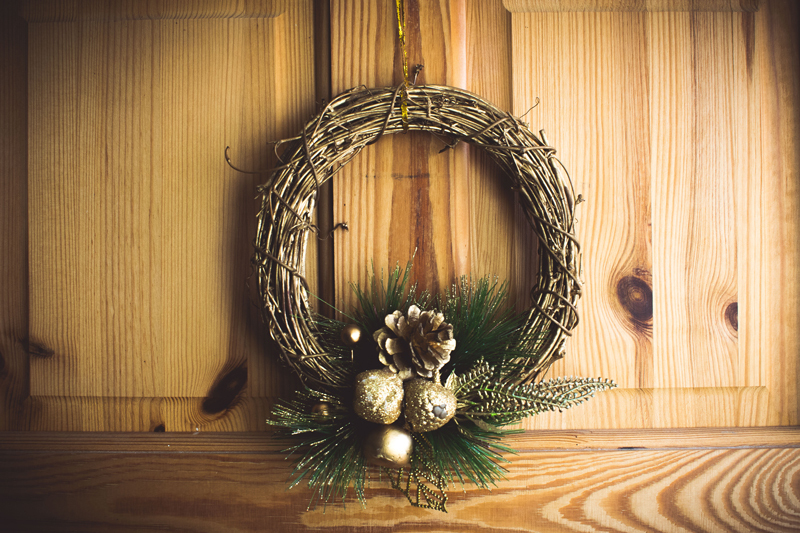 While most wreaths will hang on the wall above the mantel, you'll usually tie it into your décor. A square wreath propped up on the mantel is another popular option. Don't just stop at wreaths, though. You can consider hanging or propping a festive sign or mirror on the mantel. Mirrors provide the added advantage of reflecting the rest of the rooms holiday décor and can appear to be a part of the decorations. Garlands are another fun way to create a Christmas display on your fireplace. Let your imagination run wild. You can use a mixture of real or artificial greenery, or you can create a garland using paper or other simple objects. Some paper garlands are simple paper chains; others can be more like banners, spelling out words or phrases. Tied to twine, it creates a rustic and whimsical feel. Pompoms are another fun item to incorporate into your garland design, either interspersing it with other materials or just a long strand of pompoms strung together. For a primitive feel, consider getting some vintage fabric, cutting into strips and tying the strips together for a fabric homespun garland. And then there's the old tried and true popcorn and dried cranberry garland. The type of garland, if you choose to add one, will likely be determined by the material and size of your mantel, as well as the rest of the décor you've chosen to put on the top of the mantel. 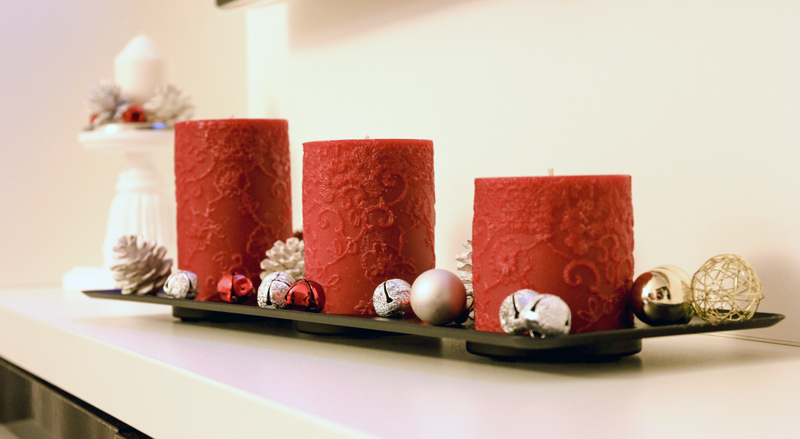 Candles are an essential part of a fireplace decorating scheme. Explore different shapes and sizes and pay attention to what you can add to the setting to accentuate the candles. Tin pie plates or mirrors behind the candles can make them pop and create a visual focal point. A candle display of varying heights, add visual interest to an otherwise boring display. Glass jars are such a simple way to dress up your mantle, and the jars or vases can be used year round. Stuff these clear, glass items with a variety of Christmas items, such as different colored candy or candy canes, pine cones, greenery, Christmas ornaments, jingle bells, and strands of lights. Pompoms that match your color scheme are another fun item you can use to fill your jars. Even something as simple as powdered sugar to give the effect of snow can be a perfect filler. Old vintage lanterns can serve the same purpose as glass jars. You can either leave a vintage lantern empty and use it as a prop in your decorating, or you can fill it with festive items. No Christmas display is complete without strands of lights. 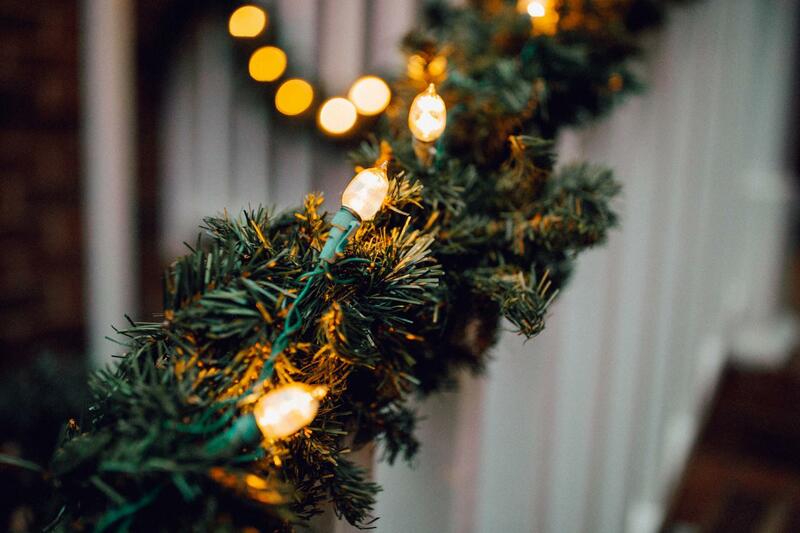 Whether you prefer the simplicity and elegance of solid white lights or sticking with a single color like blue or red, or you enjoy the whimsy of multi-colored lights, Christmas lights can brighten any corner of a room and bring an instant festive feel. While most of our ideas have been centered on the mantel, don't forget the hearth. Sometimes a simple wood stack with some red ribbon tied to the top can be all you need to finish up your fireplace vignette. There are really no rules when it comes to decorating the fireplace for Christmas. 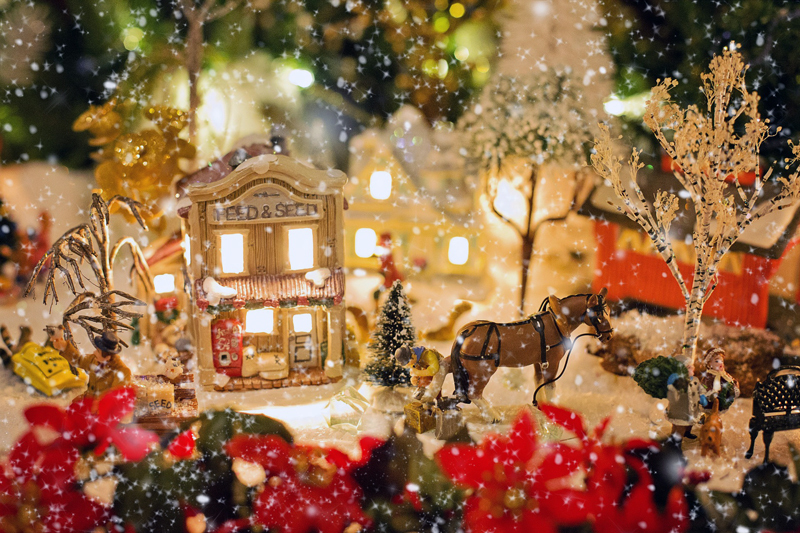 Find a color theme that you love, pull out your favorite Christmas decorations, and you're set. The lights, candles, garland, all can be extras, or they can be the centerpiece. Find what you love and go for it. Having grown up a country girl in Kentucky, Lindsey is addicted to taking care of goats, horses, cats, dogs...any creature really. This includes her husband and two active boys. 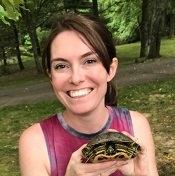 She enjoys expressing her creativity in a variety of projects at work, home, and on her farm. A talented artist, she is quick to turn an ugly problem into a beautiful solution. In her free time, she enjoys painting, crafting, and home renovation.